Cleaning up after practice. The boy closest to the camera is a new apprentice, and is maybe only 15 years old. Sumo are pretty awesome, but usually kept at arms’ length by their handlers. When Ryann and I visited Asa Geiko (morning training) two years ago, we were lucky they allowed us to film an empty training ring. 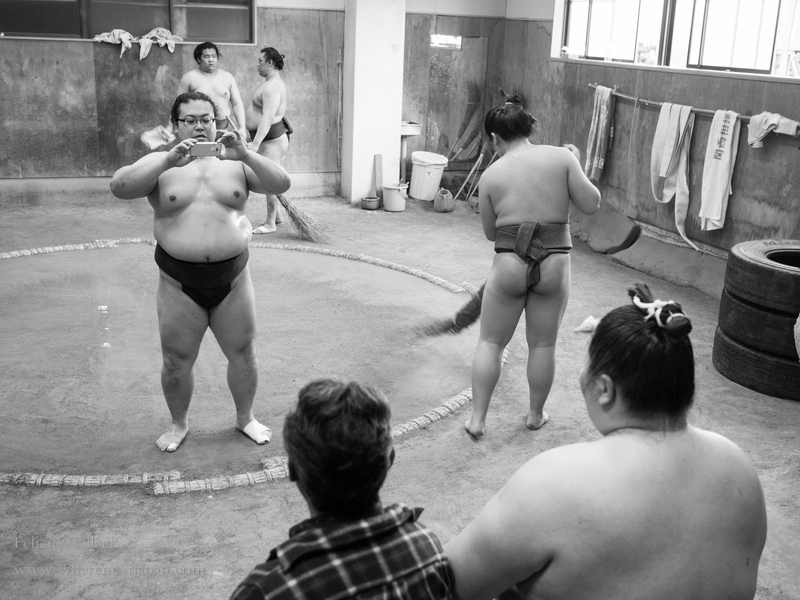 Minato beya, a stable from Tokyo, are a little more welcoming, and host post-training breakfasts where visitors can meet, and talk to some of their sumo. Ichinojo, a high ranking sumo from Mongolia, was the star most people came to see. Some of the amazing food prepared for the visitors afterwards. 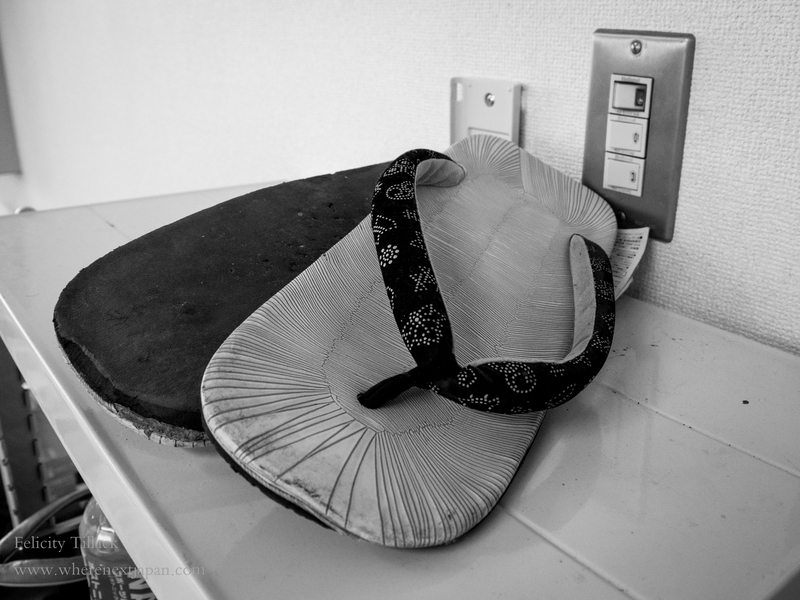 Each day, the sumo take turns to make the meal (breakfast, lunch and dinner). Each meal tastes different according to the chefs. 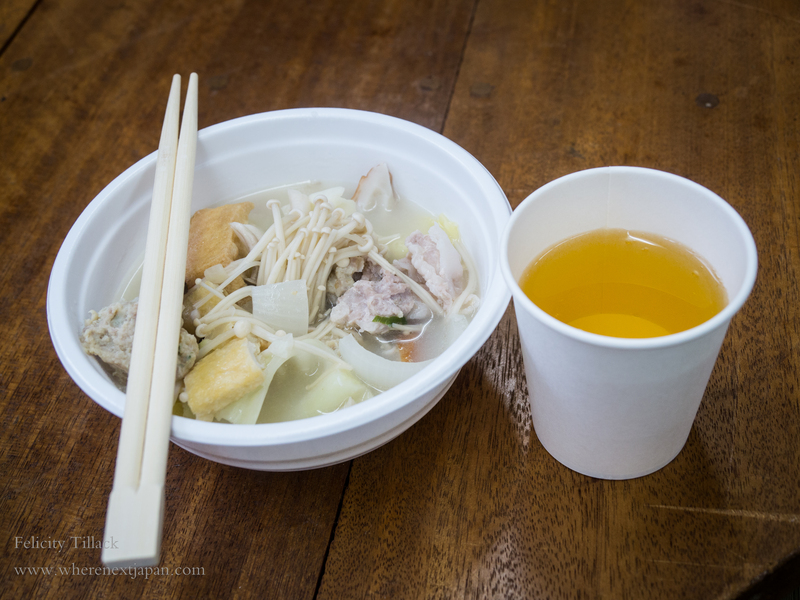 The traditional chanko nabe meal of sumo champions. This chef put in chikuwa, chicken meat, chicken meat balls and lots of veggies. So good! After breakfast, and some interviews with the nervous athletes, we were invited in to watch as some get their cho-mage hair styles re-set. The life of a sumo means very little privacy, especially when travelling. Unsurprisingly, I was told few sumo have girlfriends until they are considering retirement, which is generally around 35 years old. 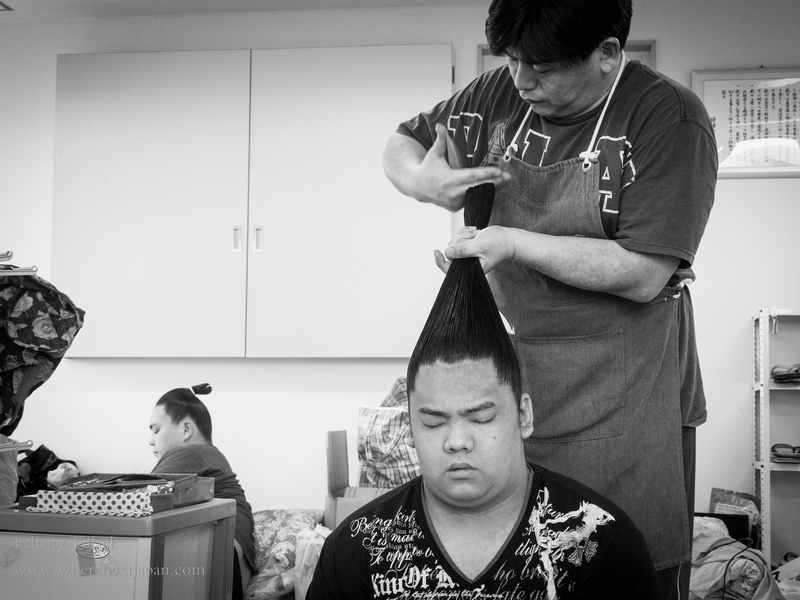 Sumo hair styling after practice. Nine rikishi sleep in this room. 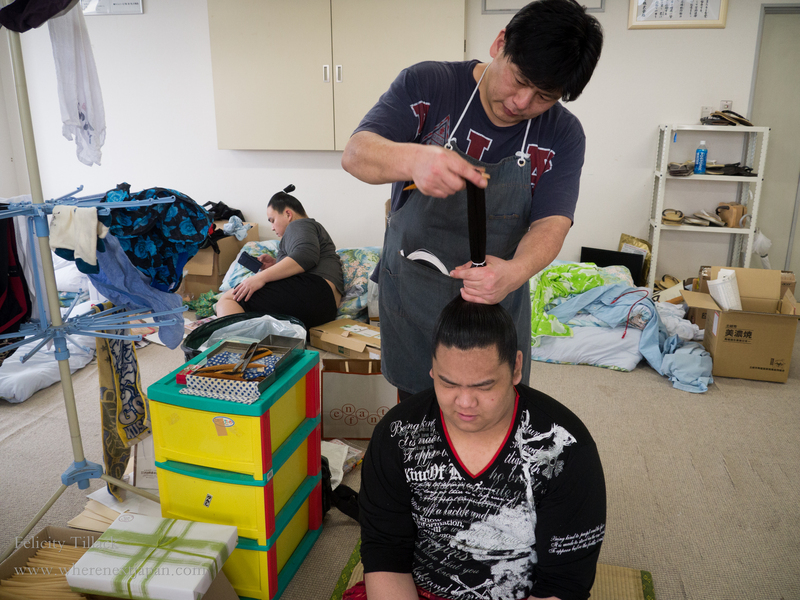 They are travelling from Tokyo at the moment, so the accommodation is even more temporary. 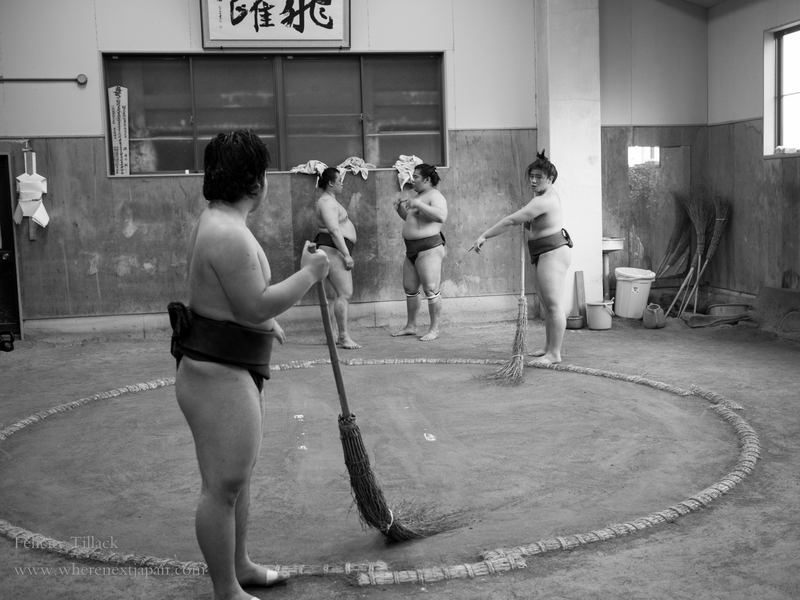 Sumo is such an interesting sport on so many levels. It is old, yet maintains its popularity. It is a strict, regimented lifestyle, yet continues to attract athletes. Like many Westerners who come to Japan, I love sumo. The chance to see behind the closed screens usually imposed on outsiders was amazing. Thank you Minato Beya!